I heard about Apples and Oranges (a&o) from a stranger I met at a cookout. She had natural hair so I asked where she gets her hair done in Lagos and she said a&o. She proceeded to tell me about her a&o experience. Apparently, a&o has 2 different sections; one for regular hair and the other for the natural hair sisters. The natural hair section was full so she decided to go to the regular hair section to get her hair done. Basically, when they were done her hair was super straight and she ended up having to cut off about 4 inches because she’d lost her curl pattern due to whatever products they’d used on her hair. Her recommendation was that I make sure I get someone in the natural hair section to do my hair. Of course I told her about my KL’s Natural experience and recommended she check out KL’s as well. Anyway, I tried to experience a&o for myself on 2 different occasions but was unsuccessful. First visit – Parking wasn’t the best. There’s really parking for 3 cars but 6 cars can squeeze park within the compound. There’s awkward street parking as well. The receptionist was very nice and the salon is quite spacious. However, the salon was packed with human beings in like every corner! The receptionist had tried to ask some dude, who I think is the floor manager, if there was space for me to do my hair and he was very dismal…I figured he was under pressure. Turned out there was space in the regular hair section so I said I’ll go there. Sat down for like 10 mins and no one attended to me so I left. Second visit – Same receptionist. Very sweet. But this time, the same manager dude was rude and sounded like “pls we are busy leave me aloneee”. Ok! Once this happened I just jejely said thank you and headed out. Side note – This salon also serves food. There’s also a different section for manis and pedis. Appointments are HIGHLY encouraged. I don’t think it’s fair to give this business a rating since I actually didn’t get my hair done here. However, side note for this business – first impressions count…you may never have another chance to impress a customer. The initial reception I received didn’t ginger me enough to want to go back. In fact, I probably won’t go back to try a&o. this place is simple the best. nice location and welcoming environment. the staffs are lively and sharp. i had a haircut and also had a manicure and pedicure. trust me i came out fully satisfied. i advise you guys go and experience it for yourself and thank me later. 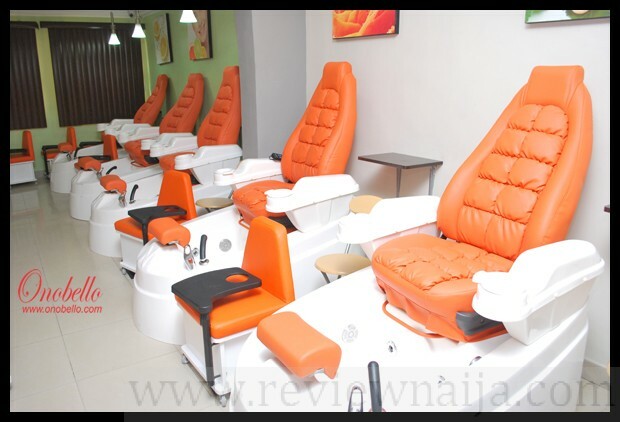 apples and oranges is a very lovely place to be, get my nails and hair done there and the service is always perfect everytime. decent and cauteous receptionists, clean environment, lovely deco, never had any bad experience. Interesting reviews and they all confirm my own experiences also. The front desk ladies are always sweet and lovely… the back end peeps… another story!!! They are soooo rude it’s almost a shame! I’m definitely NOT going back there. Seems Apples and Oranges read through these reviews and improved on their services. 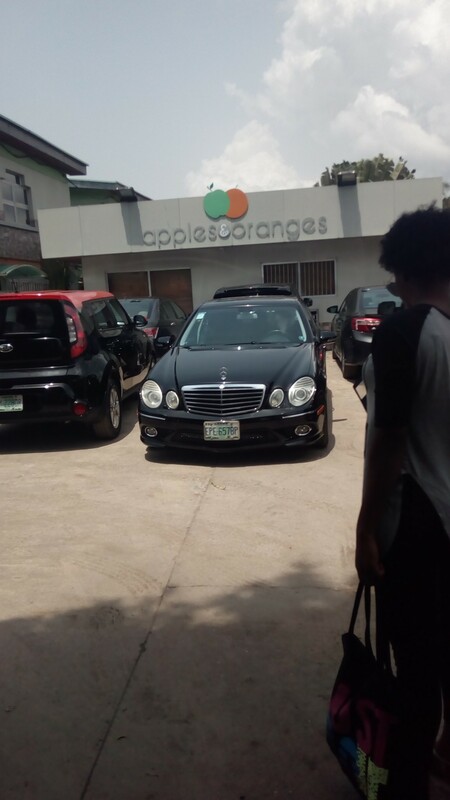 I recently visited Apples and Oranges second-week march, 11/3/2017, to be exact for the first time. 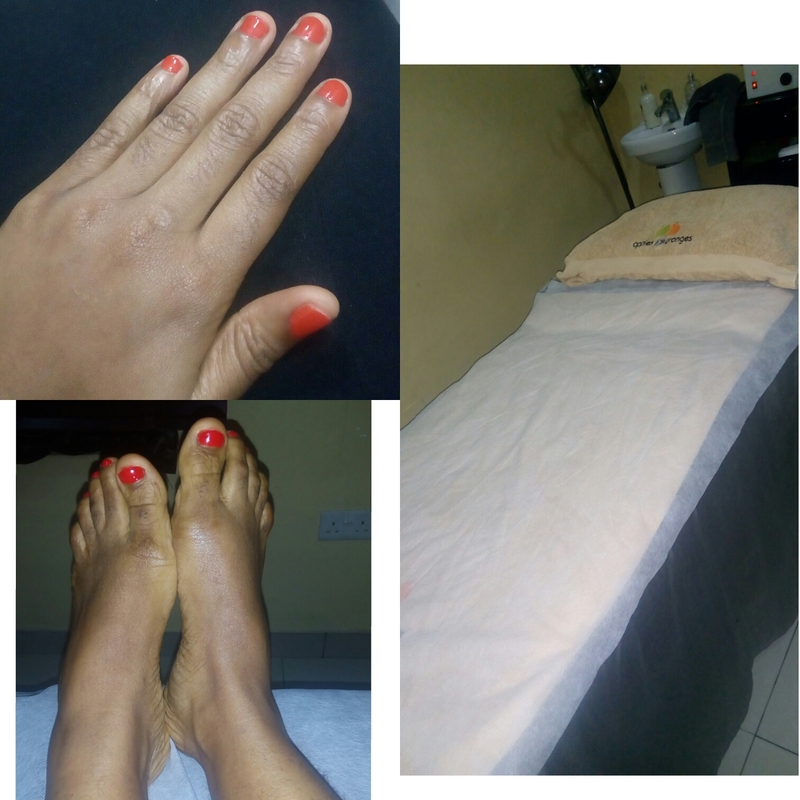 Went for a spa treat (manicure, pedicure and massage). The receptionist was jovial and friendly. I arrived early in the morning, so I didn’t experience delays/long waiting hours. By the right in the reception was where they sold drinks and some other stuffs. Approx 10 minutes after I was attended to. The manicurist was same as the pedicurist. She took her time in making sure my hands and leg were well pampered. I observed they also had a barber’s shop and a beauty salon on the ground floor. Done with my pedicure and manicure, I was taken to the drying section (had to get the nail polish dried up in order to proceed for my massage). Almost immediately after my nail polish had dried up, I was informed the masseuse was ready for me. Went upstairs, to my surprise I saw both Nigerian and Chinese masseuses. The massage was heavenly, the masseuse restored my body…lol. I had a good time tho, but they are pricey. The location is secluded and the environment is nice. Love the interior decorations. I visited this business for the first time one Sunday about three weeks ago. I had had my gell polish for too long and it had chipped and was looking an utter mess so I just wanted to soak it off and free my nails. Front desk/receptionist was helful and couteous but thats where it ended. There was some guy in the nail section who was soo rude, he was free and I asked if he would help to just take off the polish. Apparently he is supposed to be “senior staff”. He very rudely said he could not and ended up walking away when the receptionist came in at that moment to check onn me. Definitely never going back there. Why will I pay money for someone to be rude to me? Removal of the gel polish was like 1,500 with 5% charge regardless of if you’re paying cash or using POS. Crap crap crap service. This review just reaffirmed my convictions. Definitely not going there for nothing!